Upgrading to the iPhone every year is costly, but if you keep your iPhone in great condition, you can always sell it right before the next iPhone comes out and use that to supplement the cost of upgrading. Knowing the best place to sell your iPhone can be the tricky part because there are dozens of places you can go to as each vendor is different and will offer you different methods and prices. Here are the best places to sell your iPhone now so you can get an iPhone 5. 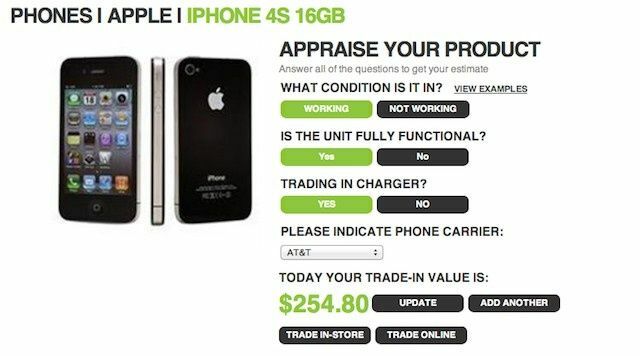 Auctioning off your iPhone on eBay is one of the easiest ways to sell your iPhone. The only problem is the eBay marketplace is usually crowded with tons of people trying to sell their iPhone too, so it can be hard to standout and get a quick sale. 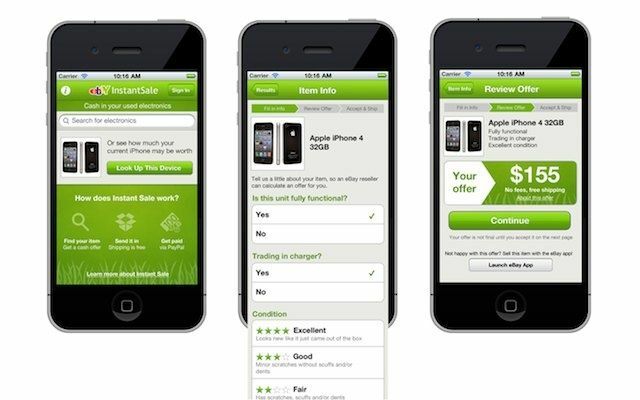 With the eBay Instant Sale app you can sell your used iPhone to eBay instantly. The offers might not be as high as you were hoping for, but it’s ridiculously quick and easy to use, and if you feel like you’re getting low-balled you can always auction off the iPhone on your own. If you’re selling your iPhone 4S to buy the iPhone 5, then you probably won’t mind getting an Apple giftcard in exchange for your phone. 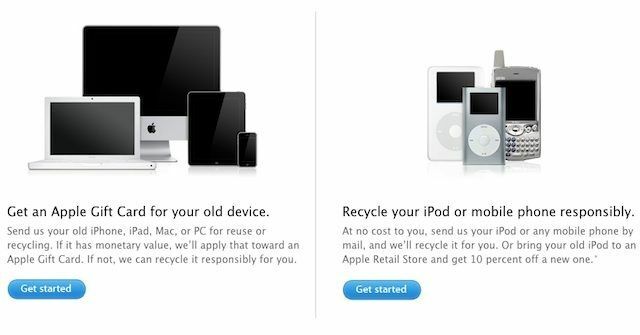 Apple’s Reuse and Recycling program will let you turn in your old iPhone inexchange for an Apple giftcard. Right now they will give you $285 for a like-new 16GB iPhone 4S. The biggest drawback is that it takes a few days for Apple to get your iPhone, verify its value, and then send you your giftcard in the mail rather than electronically. There are some people who are just plain terrified to sell their items on Craigslist, and for good reason. Craigslist is like the Wild Wild West of internet marketplaces. Anything goes. Once you list your iPhone 4S for sale at $400, people will email you stuff like, “I got a third-gen iPod nano, $75 cash, and a dirty sock used by Steve Nash. Trade?” It gets crazy, but it can be worth it if you’re patient. Craigslist is the best place to get the most value for your iPhone. You have to deal with all the terrible people trying to low-ball you, and awkward real-world encounters that make you feel more like a drug dealer than an Apple fan, but if you can get past that, Craigslist might be the best place to sell your iPhone. As one of the first major sites to start purchasing used iPhones, Gazelle has a few options that make it standout. First, they’ll pay you with either check, PayPal, or Amazon store credit – and if you choose the Amazon option they’ll give you 5% more than your quote. Second, they’re guaranteeing all iPhone price quotes until October 1st, so that the value of your iPhone won’t diminish once the iPhone 5 is announced. 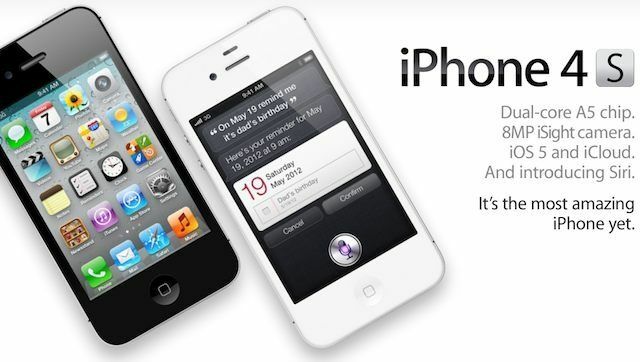 A flawless 16GB iPhone 4S will fetch you $290 on Gazelle which is $5 more than Apple, plus you won’t have to wait around for your payment to come in the mail. What’s great about Glyde is it gives you the freedom to set your own price, without having to go through all the hassles of finding a buyer on your own. Right now, the Glyde market-price for a flawless 16GB iPhone 4S is $361.50. You can list your iPhone for sale at that price, or higher. If you don’t want to wait to find a buyer, you can sell it to Glyde instantly for $266. USell is a bit like Gazelle, in that you specify the iPhone you have and it’s current condition, and then the website gives you an offer. Except with USell you are given a number of different offers to choose from. Right now the top offer for a used 16GB iPhone 4S is $268, and most of the buyers will pay you via your choice of check or PayPal. 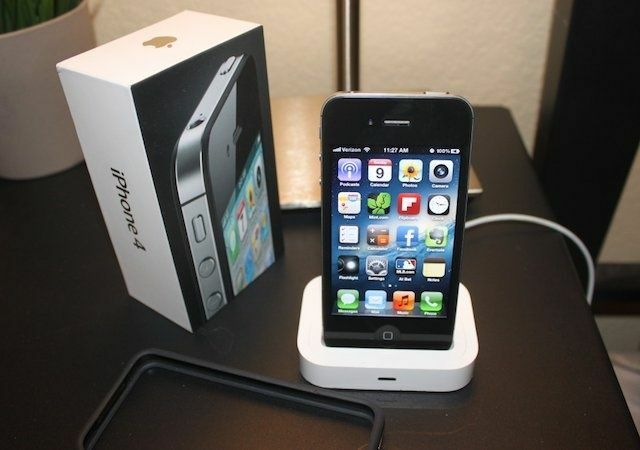 The Trade & Save program at RadioShack doesn’t offer as much trade-in value for the iPhone 4S as competitors like Gazelle, Glyde, and USell, but if you live near a RadioShack store you can trade it in right there and not have to deal with the hassle of shipping it on your own. Like eBay, consumers have two options with Amazon. 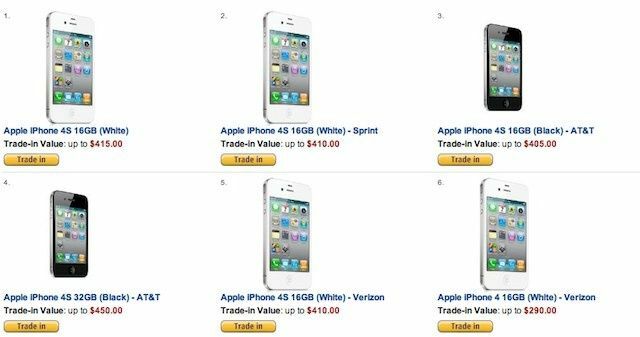 You can list your iPhone 4S on the Amazon Marketplace and wait for a buyer to come along, or you can just trade it in to Amazon and let them handle the rest. Amazon offers the best prices of all the trade-in programs too. Trading a “like new” 16GB iPhone 4S will net you up to $415.00, plus they give you free shipping. If you’re not going to sell your iPhone on Craigslist, trading it in to Amazon will probably get you the most money. Most of the trade-in sites like Gazelle, Usell, Gylde and even Apple’s Reuse and Recycling program, offer around the same price for an iPhone 4S in good condition. The two standout options are to go with Craigslist and find a buyer all on your own, or take the easy route and sell your iPhone to Amazon. Both options should give you close to $400 for an iPhone, which is enough to cover an ETFs or early-upgrade fees you might incur so you can enjoy the warm loving glow of a new iPhone 5 once Tim Cook announces it tomorrow.